INDUSTRY.co.id - Jakarta, The impact of the economic crisis that hit a number of countries in Europe affected the rupiah exchange rate against the United States dollar (US), even a number of countries in Southeast Asia experienced the impact of the crisis. The government under the leadership of President Joko Widodo-Jusuf Kalla is currently trying to implement an economic strategy so that there will be no turmoil in the community, especially for business people. Some observers predict that the difficult situation faced by Indonesia will last a long time. This was spurred by the tightening of the US currency and interest rates. 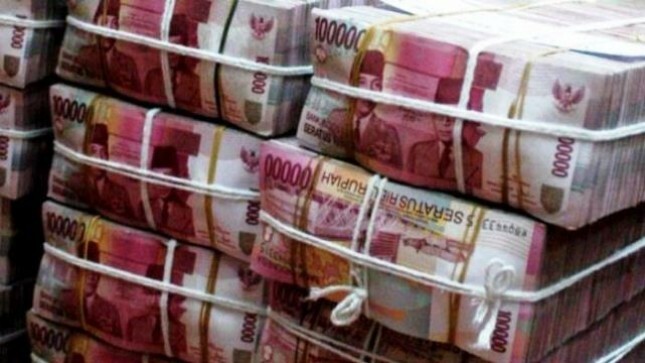 If the government does not quickly conduct and seek solutions, the rupiah will be worse off. Gadjah Mada University Economist Expert Tony Prasetianto believes that the development of the real activity of the glibal economy is still very good. "This is indicated by the healthy growth rates that occur widely in developed and developing countries," Tony said in a discussion entitled "Dollar vs. Rupiah" in Jakarta (08/14/2018). At present the US is one of the countries with the most promising economic performance, with growth in an upward trend. Economic growth followed by the unemployment rate which continued to decline to touch 3.8 percent in May 2018 or the lowest in the last 18 years. "In the future, real economic activity in the global economy is expected to remain solid despite moving in a moderate direction which is seen in the international trade index (Baltic Dry Index) and manufacturing index (PMI Index) which are in an expansive direction," Tony explained. Tony emphasized that international trade still shows a negative contribution in line with the high imports related to domestic production activities. "For several months, Indonesia's trade balance in 2018 experienced a deficit more often than in the previous year. Although exports from January to May 2018, grew 9.65%. Imports are growing faster, especially for non-oil and gas imports, "he concluded.